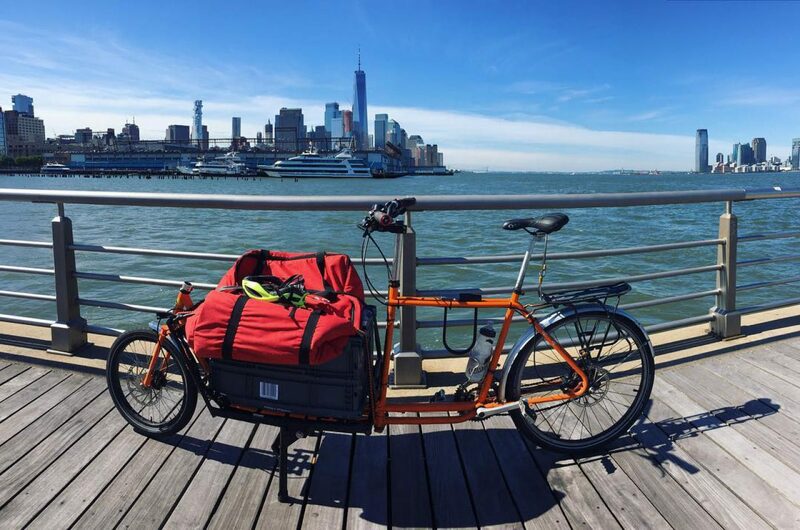 The objective of the NYC Cargo Bike Collective is to work towards the realization of the carbon neutral future of logistics and delivery in New York City and beyond. Cargo Bike Collective Deliveries is a workers cooperative that offers cargo bike-based logistical solutions for a diverse clientele throughout the boroughs. Our mission is make carbon neutral logistics a large scale reality while also operating a functioning workers cooperative that values the quality of life of our riders. We operate with the input and direction of all of our riders, and provide a living wage. Cargo Bike Collective Fabrications helps to outfit our fleet of Larry vs Harry Bullitt cargo bikes with custom parts that allow us to challenge what is possible to move by bike. For four years CBC Fabrications has also been honing the art of building custom cargo bikes from the ground up in Brooklyn. Cargo Bike Collective Direct Action helps to support social and ecological justice campaigns throughout NYC that are fighting for a better world everyday. Aiming to contribute to the fight for an equal and safe world, our bikes provide cold and hot water, medical supplies, and other logistical support at large demonstrations.